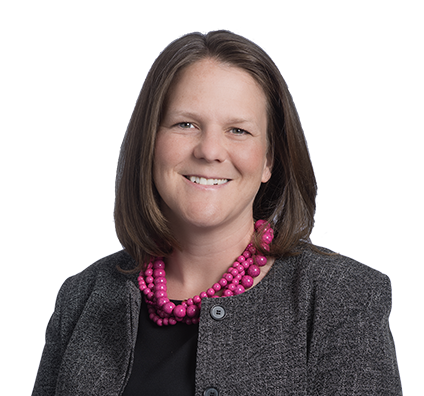 As the firm's Director of Pro Bono Services, Margaret promotes Husch Blackwell’s pro bono efforts by coordinating new pro bono opportunities with several nonprofit organizations and recruiting the firm’s attorneys to handle these legal matters. She provides in-house training on various issues to ensure the firm’s attorneys are qualified to handle the pro bono matters they are assigned. As a signatory member of the Pro Bono Institute’s Law Firm Pro Bono Challenge® Husch Blackwell has committed firm-wide to provide pro bono legal services to low-income and disadvantaged individuals, families, and nonprofit groups. Before joining Husch Blackwell, Margaret represented clients in environmental transactional and litigation matters. Throughout her legal career, Margaret has been active in pro bono work through guardian ad litem appointments and Legal Aid of Western Missouri’s Volunteer Attorney and Adopt-a-Neighborhood projects. She also is an active member of her community who serves a number of civic, charitable, and professional organizations.